GitHub is known for being a hosting service for coders’ work. Formed in early 2008, it reached 85 million repositories from some 28 million developers. So, it comes as no surprise that Microsoft had its eyes on the service and finally made its move after ending the Codeplex project at the end of 2017. 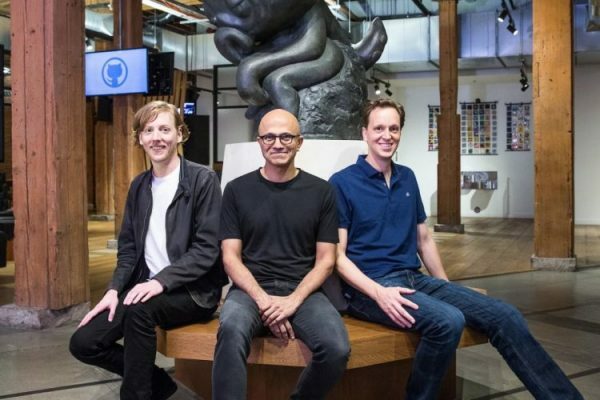 GitHub is the home of code and project from a number of major companies–including some Microsoft competitors. The acquisition marks the second major one under Satya Nadella’s leadership. In 2016, Microsoft scooped up LinkedIn for over $26 billion in a move that had many scratching their heads. This deal was for $7.5 billion in stock and should wrap up this year. The leadership of the company will see Xamarin founder Nat Friedman in the position of CEO. Xamarin, formed in 2011 was scooped up by Microsoft roughly five years later and focuses on cross-platform elements of Microsoft.NET. GitHub co-founder and CEO Chris Wanstrath will move into a new role as a technical fellow. Both will report to Scott Guthrie, Executive VP of Microsoft Azure and Enterprise.